Partly cloudy early followed by cloudy skies overnight. Low 49F. Winds SSW at 5 to 10 mph.. Partly cloudy early followed by cloudy skies overnight. Low 49F. Winds SSW at 5 to 10 mph. 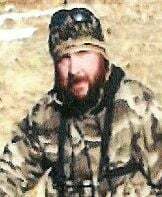 Glenn Daniel Tervort of Elko, NV died on December 1, 2018 in Salt Lake City, Utah at the age of 43. Glenn is survived by his mother; Roxanne (Rocky) Alexander Tervort; children, Kaydie Brooke and Hunter Reno; grandmothers, Elsie Alexander of Loyalton and Ellen Tervort of Elko; as well as many aunts, uncles and cousins. He is predeceased by his brother, Wayne; father, Daniel; uncles, David and Doyle Tervort; grandparents, Kenneth Alexander; Jerry and Creta Reno and Glenn Tervort. Glenn was born on April 27, 1975 in Loyalton, CA to Daniel and Roxanne Tervort. He attended schools in Nevada graduating from Carlin High School in 1994. Following in his dad’s footsteps, Glenn worked at the Newmont Mine for many years. He enjoyed fishing, hunting, camping and everything the outdoors had to offer, and most of all, loved his children.